This vertical file is designed to organize and protect all blueprints, plans, and drawings, in the design office or equally at home on site due to its rugged steel construction. 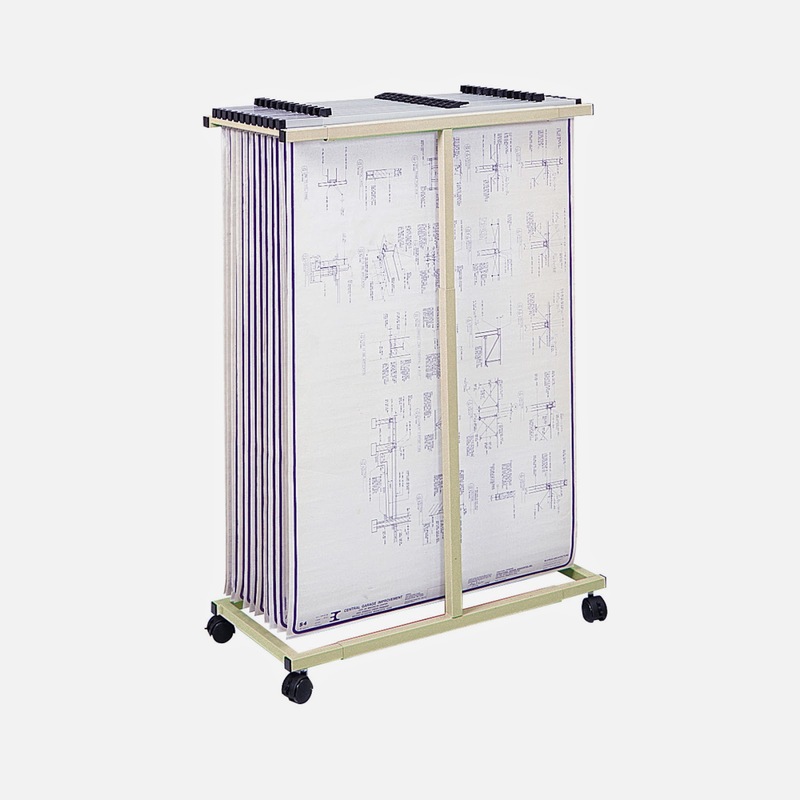 Easily mobile on its four ball bearing swivel casters, two of which lock to hold the file in place, this plan rack is able to be where you need it to be. It features an adjustable width that can fit 24”, 30”, or 36” hanging clamps, and holds 12 clamps which very easily drop in and out of the rack, with a variable height that adjusts to fit drawings of up to 48” in length. If you need hanging clamps for your blueprint stand, two types are available for order- Hanging Clamps Planhold Print-Lock or Safco Hanging Clamps Package of 6 Standard. This allows the vertical file to hold up to 1200 3-mil sheets, equivalent to 240 lbs. of plans and drawings. For further information and visual demonstration see the following Safco video.